Well, this is awkward to watch. The Enterprise is headed to earth and as they are inbound they discover that Wesley was involved in a training accident. He’s going to recover, but one of the five members of his flight crew was killed and an investigation is launched. As the inquiry continues, it turns out that the four remaining members have agreed to conceal their attempt to perform a highly dangerous maneuver and have instead appealed to the dead member making a pilot error that led to his death. Geordi and Data, however, discover that plasma ignited at the same time as the inquiry reveals a picture of the training craft in an unreported formation. Picard confronts Wesley and tells him that if he doesn’t come out with the truth, he will. Wesley does tell the truth, which leads to the leader of the flight crew being expelled and permanent reprimands on the rest of their records. The approach taken with the plot of this episode was thought out very well. As observers, we can tell something is wrong with Wesley, and as we see the pressure being put on him and the rest of the team by their flight leader, we can see that there is more to the story than meets the eye. But we don’t find out exactly what happened until about the time Picard reveals his own knowledge of it to Wesley following the investigation run by Geordi and Data. Thus, we can understand Dr. Crusher’s concern and confusion regarding the situation and how the picture that demonstrates the falsehood of the flight crew’s story must be mistaken. There doesn’t seem another explanation. But the explanation is simple: they’re lying. It’s something that seems to go beyond the bounds of what we normally expect from Star Trek’s normally squeaky-clean world. “The First Duty” is uncomfortable in that it makes us see things from both sides of a tragic event. The manipulative comments from the flight leader add to this discomfort. Picard’s epic tongue-lashing of Wesley seems both appropriate and well-deserved and it fits into the conversations Picard had with the groundskeeper. I really loved this episode. Wesley has come into his own. Yep, that’s about how I feel about this episode. It was phenomenal. Lwaxana Troi comes to the Enterprise to get married. As she struggles to deal with the implications of an arranged marriage, she tries to guide Alexander in his own path to self-awareness and freedom. They play around on the holodeck as tensions increase between Troi and her betrothed. Finally, she realizes that, like she did for Alexander, she needs to be herself. She shows up to the wedding in traditional Betazoid fashion: naked. The wedding is called off as her betrothed and his adviser are horrified and leave. This is an all-around weird episode. The interactions on the holodeck are a bit whimsical but also kind of creepy. The way that Lwaxana Troi tries to take over parenting of Alexander from Worf is left largely without comment. But there are a few things to like here as well. Troi becomes just a little bit less awful here–something it’s hard for me to admit–as she tries to realize her own needs alongside navigating Alexander towards his. There’s a kind of endearing sadness to Troi’s situation that makes you sympathize with her. Seeing her betrothed and his adviser absolutely flipping out about every little piece of protocol only added to the sympathy that was generated for Troi. But really, having Alexander walk around saying random nonsense was a bit too much for me. Just stop it. Also, mud bath awkwardness. Just a weird episode. I was surprised by the score difference between my wife and I here. She really liked it. I thought it was okay. I suppose my deep dislike of Lwaxana Troi might have contributed, but I just thought the episode was super weird. Hutts and Boba Fett? Now we’re in trouble. I have embarked on a quest to read through the Star Wars Expanded Universe once more. Be sure to check the linked text there to see other posts in this series. Here, we go back to the future past to see the origins of Han Solo with book two of the Han Solo Trilogy, The Hutt Gambit by A.C. Crispin. There will be SPOILERS in what follows. The Hutt Gambit features an older Han than we saw in The Paradise Snare (see my review). Here, Han has been kicked out of the Imperial Navy because he saved Chewbacca from slavery. Thus, he’s “stuck” with Chewbacca, who has sworn him a life debt. They go off to work as smugglers, trying to save enough money to buy their own ship by working for the Hutts. The plot is extremely character driven, but unlike the previous book, the side characters get serious development. The Hutts in particular get fully realized stories, with motivations to drive them and even a developed view of the world. Although there is little description of the planets themselves (more on that below), the Hutts that are met in the book are enough to make a great setting and a genuine feel of uniqueness–something that doesn’t always happen with all the aliens in Star Wars. The dialogue is fantastic. It reads as though it is actually people talking with different motivations and thoughts happening behind the words, which makes it feel real. Reading The Hutt Gambit made me desperate to tread more by Crispin. I think I’ll go check out her other fiction at some point, because the way she writes characters is just phenomenal. That said, there are some downsides to this book. There is very little development of the various places that are visited. We learn that the Hutt world, Nal Hutta, is swampy, but there aren’t really any descriptions of places or flora or fauna. It’s unfortunate because in many of the Star Wars novels, the planets themselves act as secondary characters in their own right, whether it is through physical hazards or unique locations or other features. Crispin is skimpy on these details and seems to leave locations largely to the readers’ imagination. This lack of description bleeds over into pretty much any scene of the book, as action largely takes place against a blank, imagined canvas. Again, this is a pretty major strike because Star Wars does seem to rely so heavily–and excel so much–in creating unique locations and settings throughout. 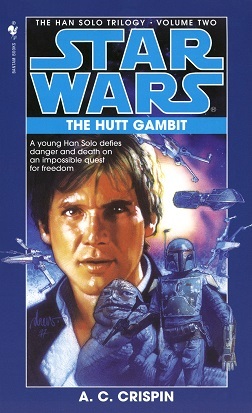 The Hutt Gambit is a thoroughly enjoyable read. It surpasses The Paradise Snare in many ways, and is a solid entry in the Star Wars Expanded Universe. Never has that sentiment been more ominous. The J’naii are an androgynous people who don’t experience gender. Soren, one of the J’naii, works closely with Riker to solve the mystery of a few of their people who have disappeared into what appears to be null space. The two discuss human and J’naii sexuality and the various aspects of the same, and Soren reveals that she is gendered, which is dangerous because the J’naii brainwash and recondition those who express being gendered. Back on the J’naii’s planet, the two kiss, but the sexuality of Soren is discovered and she is captured. Riker and Worf try to rescue her, but it is too late–she has already been reconditioned. 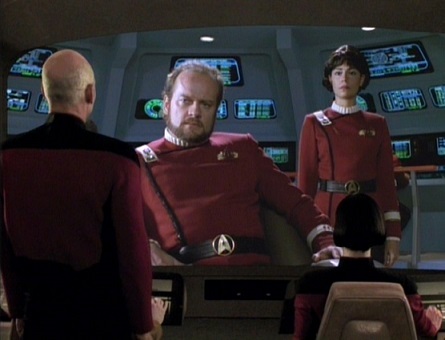 The episodes in which TNG explores moral issues are usually quite interesting, and “The Outcast” is no different. It’s a tough topic and it touches on highly relevant issues for today. Questions of gender identity and gender dysphoria are at the forefront today, and it looks like TNG was looking ahead in this regard for bringing up issues of sexuality. That said, it seemed the episode didn’t do a very good job of presenting the complexity of the issue on either side. The J’naii are portrayed as uniformly terrible in regards to the issue, with hardline views that allow for no compromise. On the other hand, Riker and others go to the opposite extreme. Sure, it has to all fit into one episode, but a less black-and-white picture of the discussion would have been appreciated. That said, it’s a pretty good episode with plenty of intrigue and some genuinely hard moments. The ending was particularly rough on Riker, who has really unfortunate things happen to his love interests very often. Poor Riker. 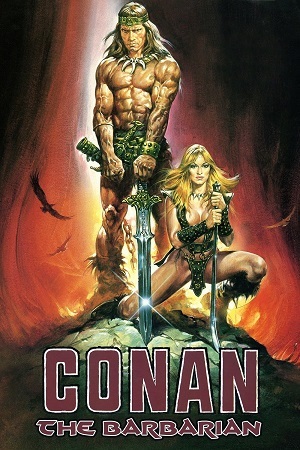 Probably the biggest problem with the plot of this one is how compressed it is. I get that TNG needs the Enterprise to keep moving, and it wouldn’t necessarily make much sense to have the episode take place over a longer period of time, but it really felt like Riker and Soren’s romance was contrived. It’s hard to take Riker seriously when he talks about how important Soren is to him and how he’s willing to throw away his Starfleet career because of this person he met just a few days before. I know that such whirlwind romances are common in TNG, and apparently sometimes in “real life,” too, but it’s just really hard to take it seriously. The Enterprise is caught in a time loop with only a few indications of what is going on for the crew to try to figure out in a very short time period. They race through each day trying to discover what’s happening and eventually manage to send a message, via Data, to warn themselves. Ultimately, they are able to change the decision that gets the ship destroyed and re-loops time, thus also saving the crew of another Starfleet ship… which was trapped 80 years ago. The plot summary doesn’t really grasp how delightfully complex this episode was. Having the same scenes shot from different angles with very minor differences was a genius way to illustrate what’s happening, and the fact that it never really feels repetitive shows the mastery the director had in filming it. I found myself looking for the most minute details to see if I could figure out what was going on and how to solve it ahead of the crew, and episodes that keep you guessing like this are great. Trying to figure out what the clue sent through Data meant was a blast, and although it felt a little bit forced, it was still an exciting way to solve the problem. That would be something to chew on for a while.